As Natural Gas Fracking Expands, Water Worries Mount Pennsylvania is at the center of a natural gas boom. But getting to the fuel requires a process called hydraulic fracturing that pumps water and chemicals far underground. One scientist is trying to find whether that's causing the high methane levels found in water near some gas wells. Drive through northern Pennsylvania and you'll see barns, cows, silos and drilling rigs perched on big, concrete pads. Pennsylvania is at the center of a natural gas boom. 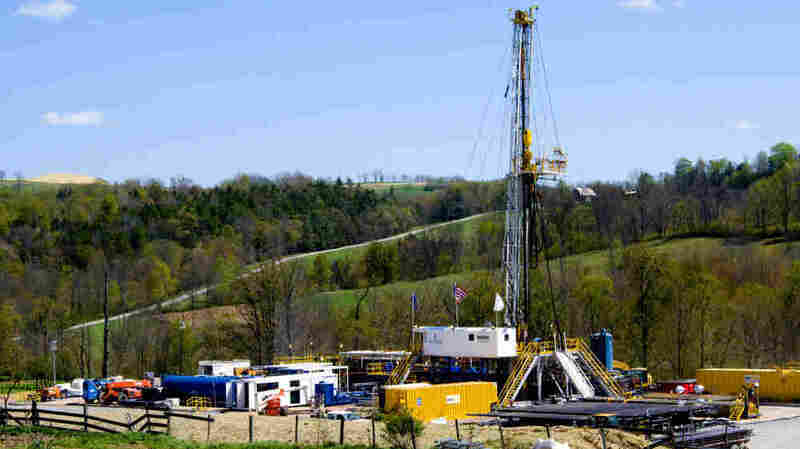 New technology is pushing gas out of huge shale deposits underground. That's created jobs and wealth, but it may be damaging drinking water. That's because when you "frack," as hydraulic fracturing is called, you pump millions of gallons of fluids underground. That cracks the shale a mile deep and drives natural gas up to the surface — gas that otherwise could never be tapped. But some people, like Mike Bastion, say fracking also ruins their water. "What gives the gas industry the right to take your clean water away?" a clearly angry Bastion says as he stands in the kitchen of his brother Steve's house near Alba, in northern Pennsylvania. He says fracking ruined his water well. Anxiety about fracking runs high here. Steve Bastion says some of his neighbors can't drink their well water any more. Today, he's invited a team of scientists from Duke University into his home to test the water. He strides over to the kitchen sink and flips on the faucet. "You take for granted doing this," he says. "Do this when it doesn't work, and you can't drink it — everything changes." Bastion says drilling has brought wealth, but it has split neighbor from neighbor: Those who have mineral rights and are paid big money by gas companies, and those who aren't, but put up with the side-effects. "The haves and the have nots," he says. "You know what I'm saying? The have-nots should count because we gotta drink water, too." The thing about these tainted water stories is that they're hard to prove. So Duke University's Rob Jackson, a chemical engineer and ecologist, is trying to figure out if they're true. 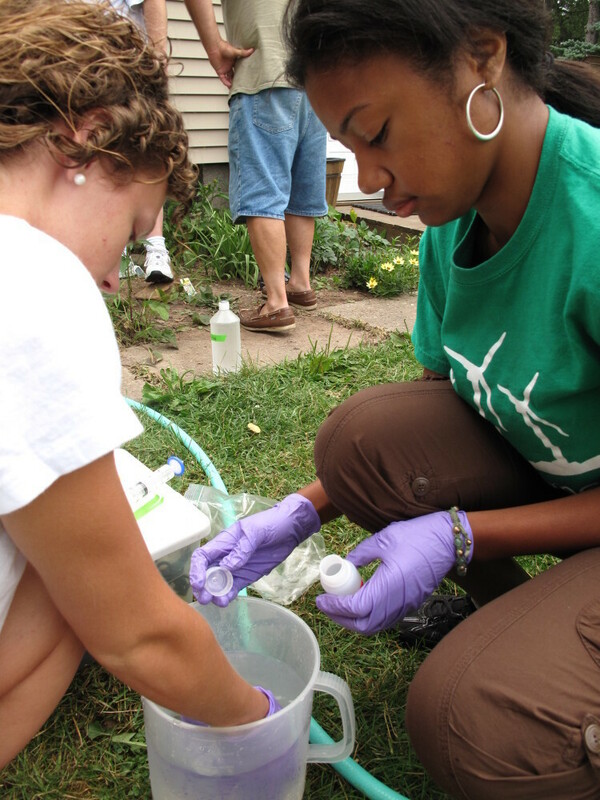 Duke University students test well water at Carl Young's house in northern Pennsylvania. They are looking for methane and other chemicals that might have contaminated his well water as a result of fracking. "Homeowners will come to tears when you talk to them," Jackson says. "There's fear about water, there's something visceral about water." Jackson has tested about 125 water wells in Pennsylvania and New York. He's looking for potentially dangerous drilling fluids or radioactive material from deep underground. But he hasn't found any of that. "What we found was people living near a natural gas well had a much greater chance of having high methane concentrations in their water," he says. Dangerously high, in some cases. And it's methane that appears to come from the same deep gas deposits that gas companies are drilling. Deep methane has its own chemical signature — a unique mix of isotopes accompanied by other gases like ethane and propane. Methane from the surface, where microbes make it in the soil, looks different. Jackson used the same testing technique that's common in the gas industry. And when he published his findings, it caused a big stir. Critics said he focused on methane trouble spots and should have sampled randomly. They said the methane could be natural seepage that was there before fracking. And Jackson agrees he needs more baseline data on water wells before drillers move in, and from more places. That's why he's visiting Carl Young's house to test his water. There's no fracking yet near Young's water well. Jackson explains the process to Young, a retired truck inspector: "We'll run the water for 5 or 10 minutes just to flush it out," he says as we stand in Young's yard. "The bucket is for sampling methane, and then we'll grab samples for lots of chemical analysis." Robert Jackson, an ecologist at Duke University, is testing water from wells in northern Pennsylvania and is trying to determine how fracking is impacting the water supply. 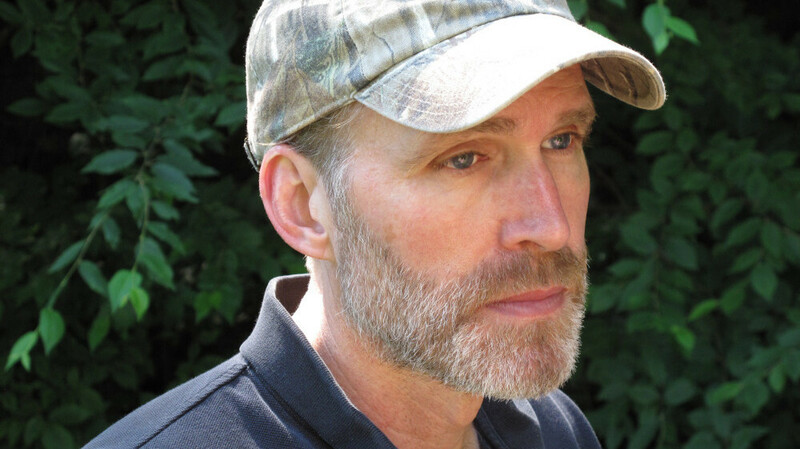 Jackson is tall, broad-shouldered and wears a camouflage ball cap with the letter "D" on the front, for Duke. He and Young swap deer-hunting stories. Young says the gas boom has been good for the local economy, but not easy for everyone. "This is a small rural community with very few people," he says, "and now you've got a lot of people so you need everything, motels, food, you need all of that so there has to be change." Young says there's a dairy farmer nearby who wants a water test, too. We drive past drilling pads and big trucks that haul fracking water and equipment down these narrow country roads. Inside the farmer's barn, a couple dozen cows stand listlessly in stalls. Duke researcher Stephen Osborne draws water from a sink to test. He says dairy farmers have been especially worried about their water. "If there's any contamination from something," he says, "it makes it difficult, almost impossible, in fact, to sell their milk, so their business is done, essentially, if that occurs." Then down the road a bit, we visit Steve Miller. His house sits less than 500 yards from an active drilling pad. He wants a water test, too. Miller says the big drilling trucks have ruined the roads, but the companies fix them. There are more strangers in town too, but he says in balance the gas business has helped the local economy. 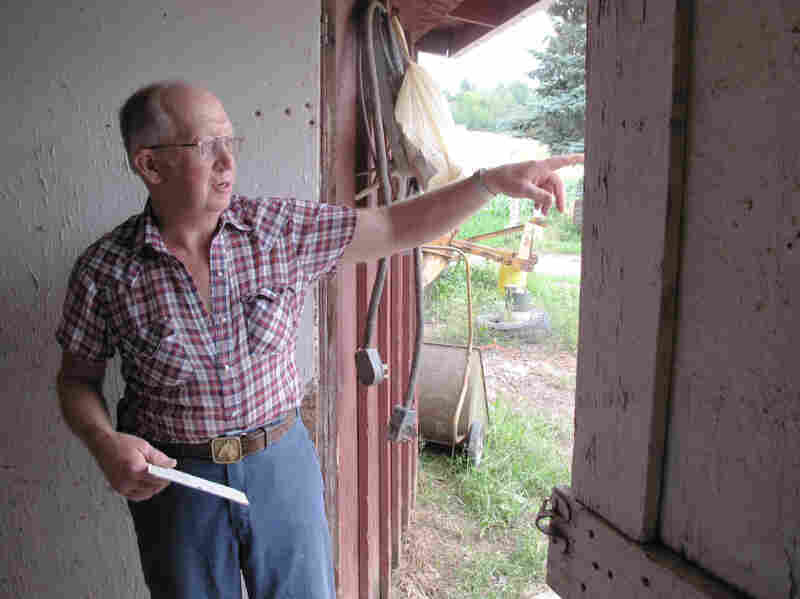 "The people who own the land are going to be able to keep the farm, pay their taxes," Miller says, "and farmers are selling their cows and are going to have an easier life because of the wells." Yet more people are reporting bad water. They say it wasn't that way before fracking. One way to get a fix on what's natural and what's caused by fracking is to look at an old methane seep. We find one at Salt Springs State Park, near the New York-Pennsylvania border. At the center of a shallow pond, there's a hole in the rock. Methane bubbles up, as if there's a giant champagne bottle under there. It's been doing that as long as anyone remembers. Says Jackson: "One of the questions is, 'Is that methane the same as the methane that we're finding in people's drinking water?' "
So far, Jackson's results are consistent: What's in peoples' wells is deep gas, created in high heat with its own chemical signature. It's not like the methane in this old seep. Steve Miller agreed to have his water tested. Researchers are looking for methane, drilling fluids or chemicals in his well water. So if water wells are contaminated with deep methane from a mile down, how is it getting there? It might be seeping up through underground cracks opened up by fracking. Or, says Jackson, it could be the cement casing around gas wells that sometimes leaks. That has happened before. "Think of a garden hose with a pinhole leak," Jackson says. "That water spurts out and if you don't fix that leak, over time it gets bigger." Jackson says there actually are data about water wells and methane taken before fracking. The gas industry has them. The state has some of that data too. But Jackson says they aren't sharing that data with him. He says he understands why the industry might be defensive. "My first job out of college, I was a chemical engineer, so I understand what it's like to be accused of something you didn't do," he says. Jackson says he has offered to work with industry and with the state, but so far no one has taken him up. But people are paying attention: A special commission set up by Pennsylvania's governor now says environmental protections should be tougher. The U.S. Environmental Protection Agency is planning a water study. And the U.S. Department of Energy has asked experts to weigh in on the environmental effects of fracking. Penn State University is testing wells, too. Meanwhile, Jackson continues his survey work across the state. He says there's no time to waste — the industry is expected to drill as many as 10,000 new wells in the next few years.